Workers compensation benefits are intended to help injured workers by providing them with financial assistance while they get medical treatment and focus on healing. 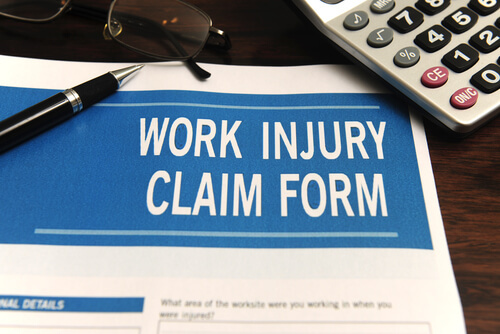 Although this fact may be well known, there are other facts about Colorado workers compensation claims that workers may not know – and understanding them can be pivotal to helping workers protect their claims to benefits after sustaining work injuries. 1 – The workers’ compensation system in Colorado is a “no-fault” system. Get the facts about Colorado workers compensation claims from an experienced Denver workers compensation attorney. This effectively means that whether or not benefits are granted is not based on fault determinations. In other words, it doesn’t matter who or what may have been to blame for a workplace accident. Benefits are typically awarded based on the fact that an injury was sustained on the job. Prevents workers from being able to sue employers separately for work injuries. May be just one option for financial recovery following a work accident. In fact, when accidents may have been caused by a party other than an employee or the employer, those other parties may be sued by injured workers following work accidents. 2 – Injured workers have to report the incident to employers within 4 days. And this reporting must be done in writing. If injured workers fail to issue a written report to their employers within four days of the accident (or of discovering the injury), they can lose one day of benefit payments for each day they were late in making this report. This can end up being a costly mistake for those who are relying on these benefits to get the treatments they need. 3 – Benefit amounts vary according to workers’ earnings and injuries. In fact, while the amount of workers’ compensation benefits will vary according to the severity of the injury sustained, they will also be based on the average weekly earnings for a worker. Specifically, benefits will generally be two-thirds of your average weekly wages prior to the accident (including tips, commissions, etc., as reported to the IRS), up to a set maximum. Benefit payments will continue for a certain period of time, based on the severity of your injuries. 4 – Claims can be denied for a variety of reasons. They are often issued for minor reasons. They can arise when claims are missing information. They are not the final word for a given claim, as workers can appeal and fight to have these decisions reversed. Contact a Denver Workers Compensation Attorney at Bell & Pollock, P.C. Have you been hurt in a work accident? If so, it’s time to contact the experienced Denver workers compensation attorney at Bell & Pollock, P.C. for experienced help advocating your rights and pursuing justice. To find out more about how we can help you, call us at (303) 795-5900 or email our firm using the contact form on this page to schedule a free initial consultation with one of our lawyers. During this meeting, you will receive clear, honest legal advice about your case, your rights and your best options for moving forward. From our offices conveniently located in Denver, Greenwood Village, and Steamboat Springs, our lawyers provide the highest quality legal services to injured people throughout the Denver metro area, Arapahoe County, Routt County and the state of Colorado. You may confidentially submit your question and it will be answered by Bell & Pollock, P.C. The only little catch is that he does this as a public service and he's going to give you some general advice only. This does not make you a client of Bell & Pollock, P.C. There is no charge for this service.